This exclusive talk with George Lucas reveals some astonishing hidden Star Wars: The Force Awakens easter eggs in the hit new movie! Here are the (spoiler-heavy) surprises, in the master’s own words. Now, while I was not officially involved with the actual production of Episode VII, I do know some secrets, due to my superior knowledge of the Star Wars universe. Here are some things I’m sure totally blew by you while you were mindlessly enjoying taut action and an emotionally compelling story. 5. 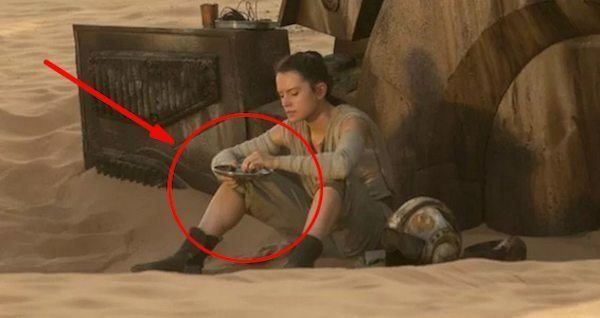 Rey’s Mysterious Half Portion Had A Secret Ingredient! Now, you all remember that scene where protagonist Rey eats her half portion of space food—the only food she has after earning it from junkyard dealer, Unkar Plutt. She plops it in some water and it becomes a space muffin. Well, what you probably don’t realize is that when no one was looking, I spat in her cooking dish. 4. 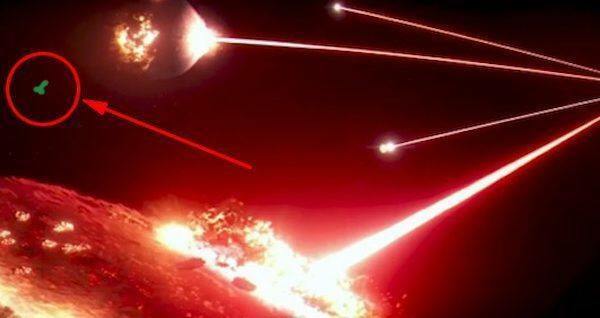 There Was A Sixth Planet That Starkiller Base Failed To Destroy! So there’s that part in the movie where the Starkiller Base fires off five deadly blasts, simultaneously committing five planet’s worth of genocide at once (jeez, we get it, JJ, your Armageddon machine is bigger than mine). Anyway, observant fans will notice that while Starkiller Base destroys five planets in the Hosnian System, one inexplicably remains. 3. 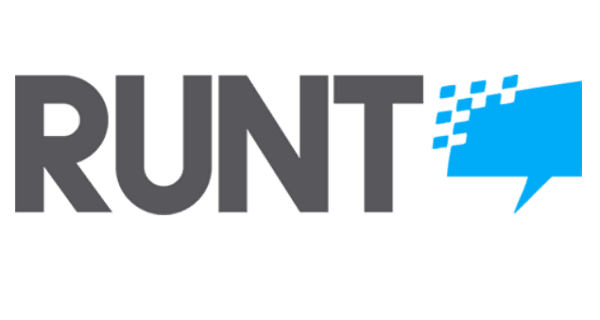 The Secret Truth About Unkar Plutt! 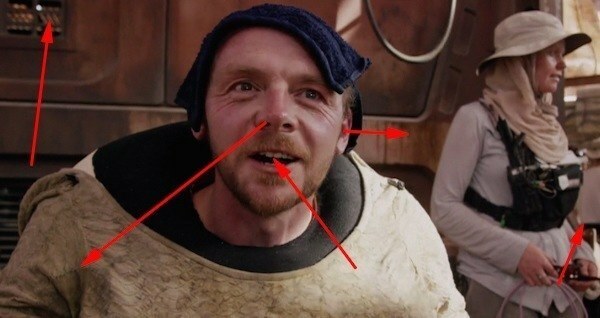 Yes, all the sci-fi nerds have already spouted off all across the Internet, that under all junkyard dealer Unkar Plutt’s latex and prostheses is none other than English actor Simon Pegg. But what they don’t know is that while Mr. Pegg was filming his scenes, I was in his trailer, personally dipping his toothbrush in the chemical toilet. 2. 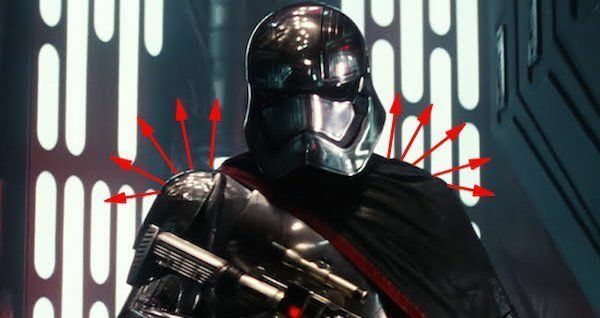 Captain Phasma’s Incredible Origin Story! Much has been made of the enigmatic Captain Phasma character, and why not? After all, she’s proof women in the First Order can also be evil, plus she’s got a neat shoulder patch! But what do we know about her? What’s her back story? And why does she have an action figure and loyal fan following when she has just three lines of dialogue and virtually no purpose? Well, if you look closely at the corner of the crowd during General Hux’s Starkiller speech, you can just make out a Disney exec telling me not to ask any of these questions because badass Stormtrooper chicks tested well with Hot Topic tweens. 1. 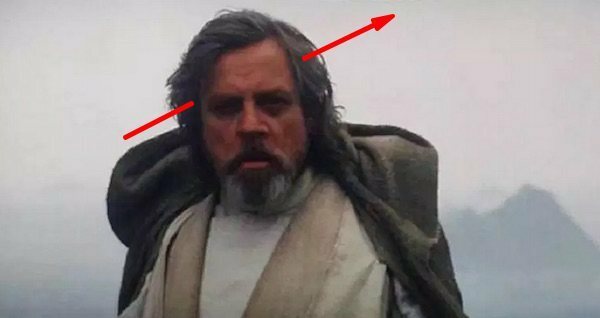 The Real Reason For Luke Skywalker’s Expression At The End! Look, I’ve already said spoiler alert, and considering how much money Disney has made by picking over the bones of my masterpiece, you’ve probably already seen Force Awakens at least twice anyway. But if not, stop reading, because, y’know, contains spoilers or something. So, much has been made of the tortured, yet earnest, yet puffy, expression on Mark Hamill’s face during the final scene of the film. It’s become a 21st century Mona Lisa of ambiguity.